What if you were able to prevent the signs of aging before they ever appeared? That’s the approach being adopted by savvy young women in their 20s and 30s who have have found that the way to keep looking young is simply by starting young. 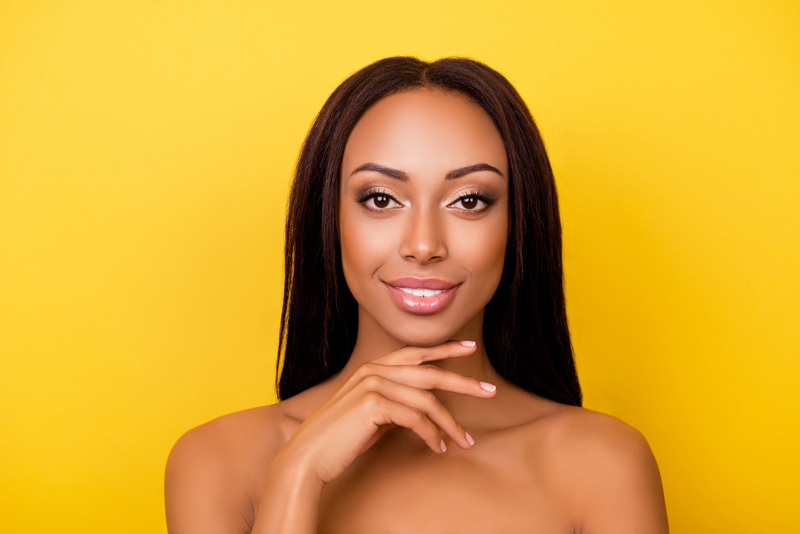 As the latest buzzword in beauty, prejuvenation is a blend of prevention and rejuvenation that refers to the cosmetic treatments being used by so many millennials to halt the aging process before they see a line or a sign. With today’s social media obsession, these young women are hyper-aware of the many aesthetic options for looking their very best. As a result, they are taking full advantage to stay ahead of the aging process and preserve their youthful appearance with these paths to prejuvenation. When it comes to halting the signs of aging, one of the best and brightest ways is the daily use of sunscreen. Along with protecting your skin from cancer-causing damage, this simple step helps to prevent the appearance of lines, wrinkles, dark spots and the loss of face-plumping collagen. Experts recommend using a sunscreen with broad-spectrum protection and an SPF 30 or higher to preserve your youthful, healthy glow. Good-looking skin begins with good skin care. Most millennials start on their path to prejuvenation with an array of anti-aging products that get applied onto the skin. These topical treatments are filled with powerful antioxidants and retinoids that fight skin-damaging free radicals, reduce signs of sun damage and boost the formation of skin-plumping collagen. The sooner you start using anti-aging skin care, the better you’ll look later. Why are smart young women suddenly filling up the offices of facial plastic surgeons? They’re anxious to get their fill of dermal fillers. See the collagen that gives our faces its youthful volume starts to naturally decrease as we age. This only increases the facial hollows, lines, wrinkles and saggy skin that makes us look older, angry and tired. The magic of dermal fillers is not only the way they “fill in” this lost facial volume, but also how they stimulate the natural production of your skin’s own collagen. As a result, you can keep up with the gradual loss of facial volume and slow down the aging process altogether. Don’t want to face the frown lines, crow’s feet and deep forehead creases that naturally come with time? Your best shot at avoiding them altogether is by turning to injectables like Botox® from an early age. Here’s how they work: lines and wrinkles are produced of the constant movement of your facial muscles, but injectables signal those muscles to relax and start moving less. Less movement results in less creasing. Start using injectables in your 20s and 30s to look better in your 40s and 50s. Prejuvenation is a trend that’s coming of age right along with its millennial fans. Why wait to treat the signs of aging later on when you can prevent them early on? To discover how prejuvenation can help preserve your youthful appearance, call the biostation™ today at (561) 284-8729 or contact us online to schedule your private, personal consultation with one of our medical aesthetics specialists. South Florida’s leading provider of Functional and Age Management Medicine, the biostation offers comprehensive, individualized, and a holistic approach to total wellness and age management. By focusing on customized medicine, the biostationhelps patients earlier in the aging process in order to help prevent, rather than treat age-related issues. Founded and run by Martin G. Bloom, M.D., a Cardiologist and Functional Medicine Expert with 40+ years of experience, the biostation, which has locations in Delray Beach, Miami and now Boca Raton at the Boca Raton Resort and Club, is dedicated to helping patients identify the root causes of any issues in order to restore the body to its peak performance, alleviate symptoms and ultimately, reverse the effects of aging and prevent age-related diseases. the biostation creates personalized treatment plans with proven, effective and safe anti-aging solutions that include highly advanced testing, bioidentical hormone therapy, nutrient therapy, sexual health programs, medical aesthetics, weight loss and much more.